Beijing is having a tough time trying to manage Hong Kong. The latest challenge to its authority is probably, in Beijing’s eyes, worse than all the other affronts. The others? Refusal to pass Article 23 anti-subversion legislation in 2003; refusal to introduce a patriotic political studies curriculum in 2012; and refusal to accept Beijing’s mandate for a universal suffrage Chief Executive election in 2014. 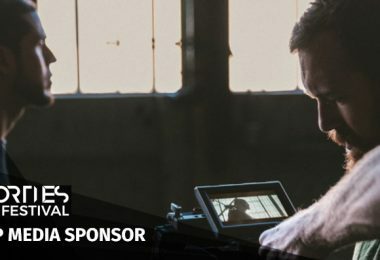 This latest challenge is part of the new wave and new ways of focusing on Hong Kong political demands that have appeared in the wake of the 2014 Occupy protest movement. They go by several names: localism, genuine autonomy, self-determination, “valiant” violent resistance, and the like. The new wave has also come with a range of new political groups and new young leaders. 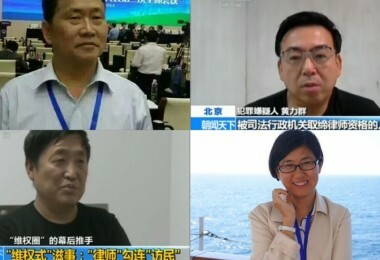 But they have all taken a back seat, at least in the amount of tense discussion they’ve generated, to what Beijing must see as the most daring and provocative of all. This is the call for an independent Hong Kong that has come from a new, not yet formally recognized, group calling itself the Hong Kong National Party. Beijing’s worst fears – its hidden demons – would seem to have been transformed into reality. The idea of “hidden demons” was used by a leading pro-Beijing politician not long ago to describe Beijing’s endemic fear of the challenge democracy poses regardless of what form it takes. Hong Kong has been dramatized in this way since 1949, when the Chinese Communist Party came to power. The British colony was portrayed, not without cause in those days, as a base for subversion being used by the West to overthrow China’s new communist government. But that narrative has remained, unchanged and unchanging, as if carved in stone ever since. Even the slightest pretext can evoke the charge of dark “foreign forces” working on their hidden agendas to destabilize Hong Kong in preparation for a Western democratic take-over. Pretexts have even been manufactured when no other excuse can be found. Hong Kong National Party Banner calling for Hong Kong independence. Photo: 香港民族黨 via Facebook. Yet oddly enough, the effort of one daring young man, Chan Ho-tin and his Hong Kong National Party – about which he is maintaining a discreet conspiratorial silence – has so far provoked nothing more dramatic than just another political reform debate. Is this really an instance of treason? If so, how best to handle it? What to do with him? 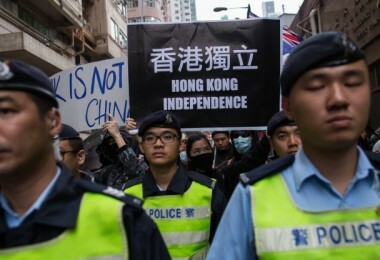 Can such a party be allowed to exist here and what are the legal repercussions for a Hong Kong citizen who openly advocates independence in such a way? Hong Kong’s like-minded pundits and politicians and lawyers are pushing back to tell Beijing this is really not worth making too much fuss about. No one can even be sure his group has 30-50 members as he claims. He says they want to keep out of sight the better to work undercover! So for now he’s only leading a discussion. It’s a discussion about possibly treasonous behaviour that may or may not lead to anything at all, and should therefore be permitted by the rules of free political expression … as guaranteed by Hong Kong’s Basic Law. Is Beijing really going to accept that line of argument after all the decades of threatening hell-fire and damnation for the mere suggestion of such disloyalty? It’s too soon to say there won’t be dire consequences somewhere down the line. Local loyalists are threatening all such possibilities because that’s what they’ve always been led to expect. Across the border, Chan Ho-tin would have been silenced without hesitation and the debate shut down forthwith. But Beijing seems to be holding back, as it did throughout the 2014 Occupy street blockades and its aftermath, and the Mong Kok Lunar New Year violence last February, and the New Territories East by-election that followed. The loyalist polemics and in-your-face protests that preceded Occupy and attacked its University of Hong Kong law school backers have so far remained only subdued reflections of their former selves. 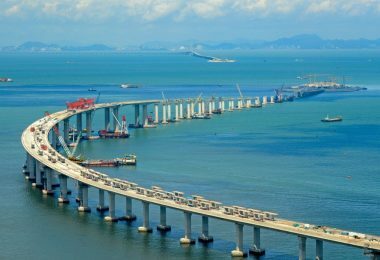 Can it be that Beijing is finally trying to think creatively about how to manage its one-country, two-systems experiment? This was stern enough and true to form. 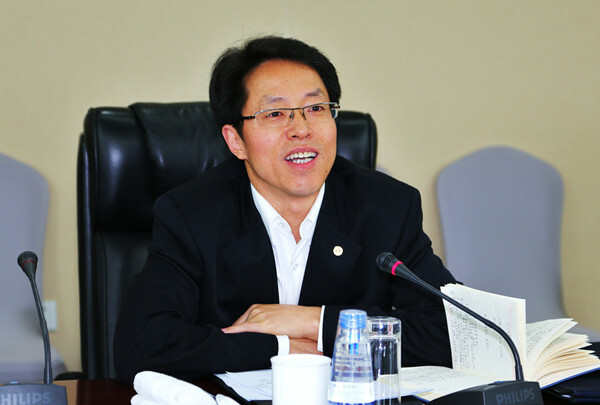 Chan introduced his party at a press conference on Easter Monday, March 28. 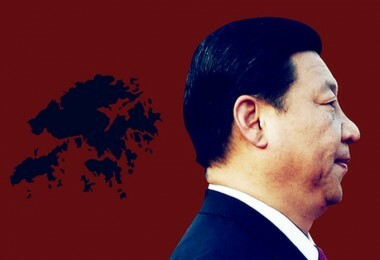 In Beijing, the central government’s Hong Kong and Macao Affairs Office immediately declared the idea of an independence party to be a threat to national sovereignty and security – a serious violation of China’s constitution and Hong Kong’s Basic Law that is subordinate to it. 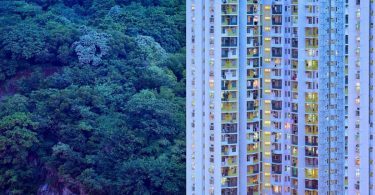 According to the Basic Law, Hong Kong is now and has always been an inalienable part of China that was temporarily occupied by Britain in the 19th and 20th centuries. In Hong Kong, Beijing’s official representative, Zhang Xiaoming who heads the central government’s representative liaison office here, said the new party had crossed the line of free speech and must not be tolerated. 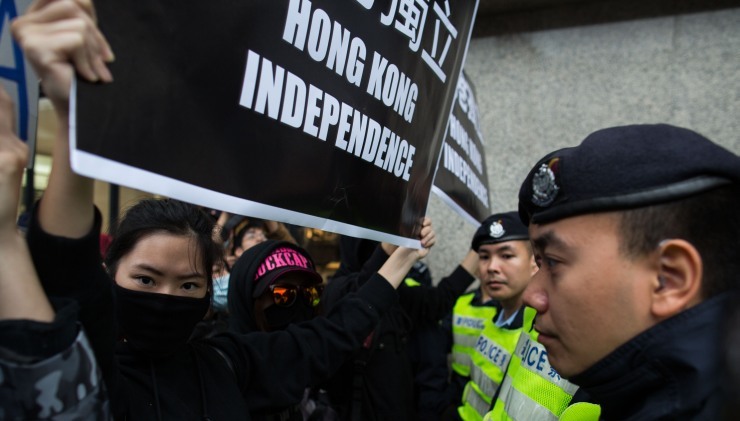 The Hong Kong government issued a statement saying that to advocate independence was against the Basic Law. The office of the Secretary for Justice said any violation of the Basic Law would constitute a potential criminal offense and be treated as such. In order to operate legally, political parties are required to register with the government but the National Party’s applications have not been approved making illegal any actions taken in its name. Unofficial opinions volunteered by officials and others were more dramatic. 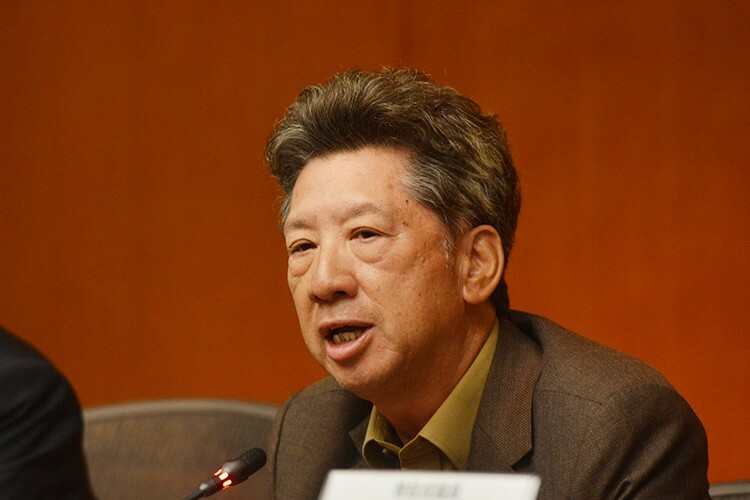 In Beijing, retired Hong Kong and Macao Affairs Office official, Chen Zuo’er said such a party was like a tumor that must be cut out before it infected others. Wang Zhenmin who heads the legal department at the liaison office, has been all over town with the same message: advocating independence is illegal, unconstitutional, and treasonous or at least seditious by reason of Hong Kong’s own existing Crimes and Societies Ordinances. 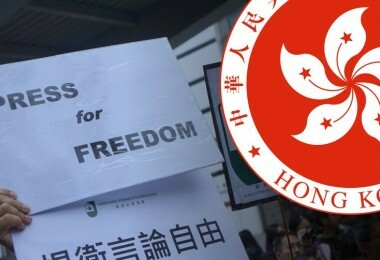 Some loyalists called for speedy passage of the Basic Law’s Article 23 legislation to criminalize all such threats to national security, the legislation that Hong Kong has successfully resisted since 2003. But according to Wang’s analysis, the job could be accomplished under Hong Kong’s existing laws. In Beijing, Professor Mo Jihong thinks so, too. Mo is a legal expert at the Chinese Academy of Social Sciences. He also says it’s wrong to think Beijing on its own can do nothing about national security crimes in Hong Kong until Article 23 legislation is passed. 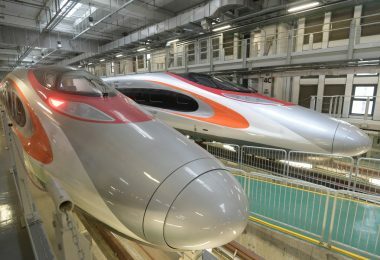 He said that view showed how little understanding his Hong Kong legal counterparts have of Beijing constitutional law and Hong Kong’s subordinate relationship thereto. Professor Mo thinks Beijing already has all the legal authority it needs to deal on its own with calls for independence here, by reason of Hong Kong’s Basic Law Article 18. Article 18 allows the central government to apply relevant national laws to Hong Kong as deemed necessary to preserve national unity and security. The central government’s Ministry of Foreign Affairs has an office here and its deputy commissioner, Hu Jianzhong, gave a no-nonsense speech saying activities that promoted anti-state disaffection were treasonous and seditious and should be dealt with accordingly. A group of prominent pro-Beijing lawyers issued a strongly-worded joint statement last week condemning the idea of Hong Kong independence. 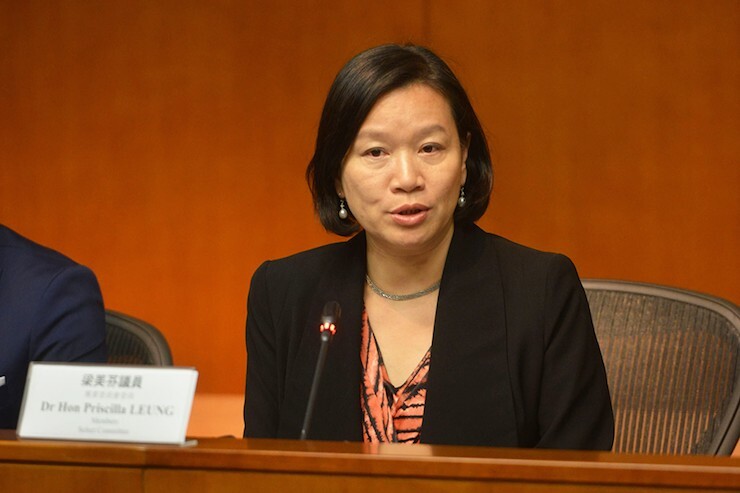 The group’s chief promoter is Legislative Councilor Priscilla Leung Mei-fun who urged the government to stop procrastinating and say whether the National Party had broken any laws. As far as these lawyers are concerned, the new party had already demonstrated seditious intent and acted upon it by holding the original press conference and renting office space. 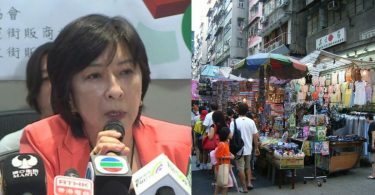 She said Hong Kong should find ways of discouraging such harmful speech and behaviour. Leung also thinks allowing it to continue is like standing by and watching a child play with matches. So far the mild-mannered young man and his defenders are not backing down, even if they are not all advocating independence. In fact, he’s the only one. Everyone else is speaking in other terms like self-determination, genuine autonomy, city-state status, and so on. Beijing likes to lump them all together. Perhaps this debate will help clarify definitions and refine distinctions since existing Hong Kong laws would presumably not permit all to be treated alike. As for Chan, he says bring it on. He wants the government to prosecute him, to test whatever he can be charged with, and have his day in court. Beijing seems to want it that way, too, and is evidently telling the Hong Kong government to handle the problem via Hong Kong’s own ordinances as reflected in Wang Zhenmin’s comments. 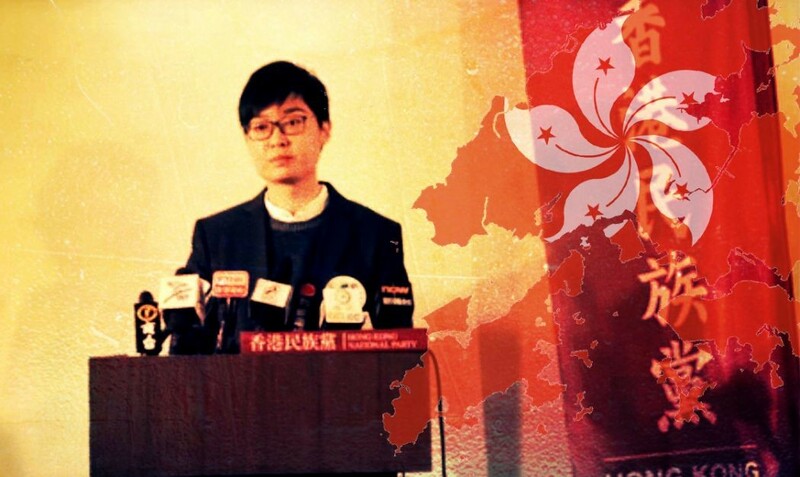 Ronny Tong Ka-wah, lately of the Civic Party and now pursuing his old dream of serving as a bridge between Beijing and Hong Kong’s democracy movement, has just returned from Beijing. He brought back news that officials seem disinclined to demand suppression of Hong Kong’s pro-independence sympathizers or shut down the debate. Ronny Tong Ka-wah. File Photo: Stand News. His impression was that officials are concerned but inclined toward the view that problems in Hong Kong should be solved in Hong Kong. He implied that Beijing is looking to restart the 2014 political reform project, which means waiting to see how the power balance here shakes out after this September’s Legislative Council election. Meanwhile, over a month has passed since the National Party threw down the gauntlet and all the Hong Kong government has done so far is deny it the right to register. The government says its legal experts are studying how Chan might be prosecuted, that is, whether he has actually violated the provisions of the Crimes Ordinance against treason, incitement to disaffection, mutiny, or sedition; or the Societies Ordinance; or the Basic Law; or maybe something else. Priscilla Leung Mei-fun. File photo: Stand News. Priscilla Leung’s lawyers think they know how it can be done. But Chan’s friends and legal advisers are suggesting why the government seems to be having so much difficulty deciding what to do with him. This is because of Hong Kong’s countervailing right to free expression. As conventionally interpreted it means he can talk all he wants about independence. He will only begin to get into trouble once he begins taking concrete action to achieve independence. Hence, the logical answer to the question about talking treason in Hong Kong is that if it’s only talk it’s not treason – whether Beijing likes it or not. Two systems in disagreement over definitions once more. Current Law Society president Stephen Hung agrees with Chan in thinking that such questions should best be decided by the judiciary. If the government believes there are charges to be laid, said Hung, then the defendant should have the right to stand trial in open court and the decision should be made there. Hung nevertheless cautions activists to be careful what they wish for since the court might rule against them and ramifications could be far reaching. But Stephen Hung, too, says that calling for independence is a matter of free speech and only becomes illegal if there is intent and an actual act in furtherance of the objective. The questions are whether Chan has already said and done enough to warrant prosecution and whether a Hong Kong court will find him guilty as charged. Unlike Priscilla Leung, however, the South China Morning Post has adopted a reassuringly tolerant view. Since the paper as of April is now wholly owned by mainland e-commerce tycoon Jack Ma, everyone has been wondering whether it would become even more politically correct than before. Naturally, says its April 27 editorial on “how to curb talk of independence,” Hong Kong independence is out of the question and freedom of speech is never absolute. But allowing open debate on politically sensitive issues is what sets Hong Kong apart from the mainland. Therefore, the best way to curb talk of independence is to allow open debate on the question of independence.